A logo is a graphic mark, emblem, or symbol commonly used by commercial enterprises to aid and promote instant public recognition. This post explains the process by which we design the logo for our product DayTickler. The adage “A picture is worth a thousand words” refers to the notion that a complex idea can be conveyed with just a single still image. Logos are either purely graphic (symbols/icons) or are composed of the name of the product (a logotype or wordmark). Because the name of the software is always displayed alongside the logo, the smart phone ecosystem favors the use of a purely graphic logo (ideogram). Frontline Representation – A logo provides the software with an image and it should be able to convey the message clearly. Memorizable – A simple and good looking logo will often be easier to remember than the name of a product. Uniqueness – Don’t only make your logo look the best but also make it look unique and different because it’s the identity of your product which stakes its credibility. During our first drafts, we quickly opted for a check mark. We felt this was a good choice because this image convey a sense of fulfillment, which is the emotion that our software provides when used. Unfortunately, a check mark as a logo is far from unique. A quick glance through the major apps stores shows that almost all the “To-Do List” software uses this ideogram. 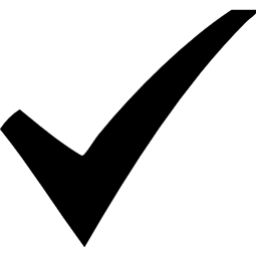 So we decided to improve the image of the check mark by adding a symbol of happiness. Here are some prototypes. Unfortunately, no image was satisfactory. None was emanating the seriousness required for a productivity software. After reflection, we decided to give up and go back to the fundamental. A differentiator and unique elements of our product is that it allows to easily team up with your family and friends to achieve your todos. We decided to put this forward while keeping the sense of fulfillment. Here is the final result with which we are very satisfied. Categories: DayTickler, Design | Tags: Brand | Permalink.